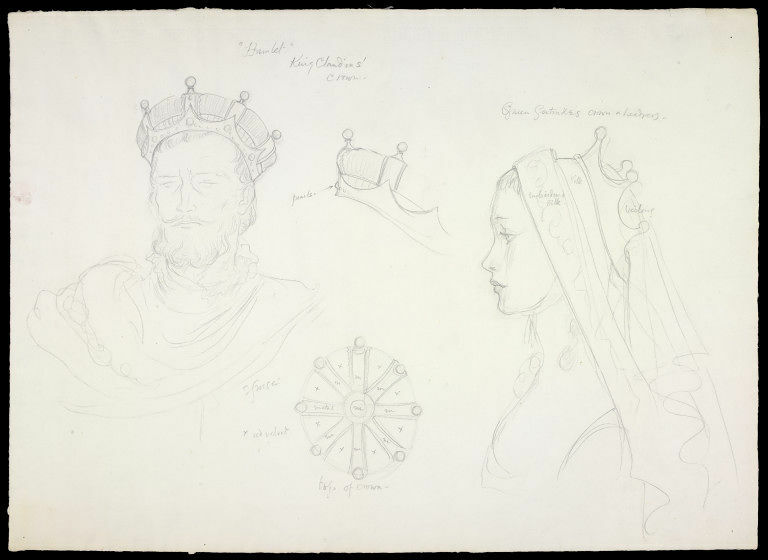 Costume design by Roger Furse for crowns for Claudius and Gertrude in Laurence Olivier's film of Shakespeare's play Hamlet, 1948. Roger Furse (1903-1972) was one of the leading British theatre designers of the mid 20th century. He studied at the Slade and in Paris, but abandoned painting for theatre design in the 1930s, becoming well known for his settings and costumes for plays, ballets and films. Furse was particularly associated with the work of Laurence Olivier, for whom he designed the films of Henry V , Hamlet , Richard III and The Prince and the Showgirl , and he frequently worked for the Old Vic, designing Shakespeare productions which starred some of the great names of British theatre. Roger Furse won the 1948 Academy Award for Best Costume Design for a Black and White Film for his designs for Hamlet. This was the first year that an award had been made for costume design and the category was divided into two,with one award been given for a black and white film and one for colour. 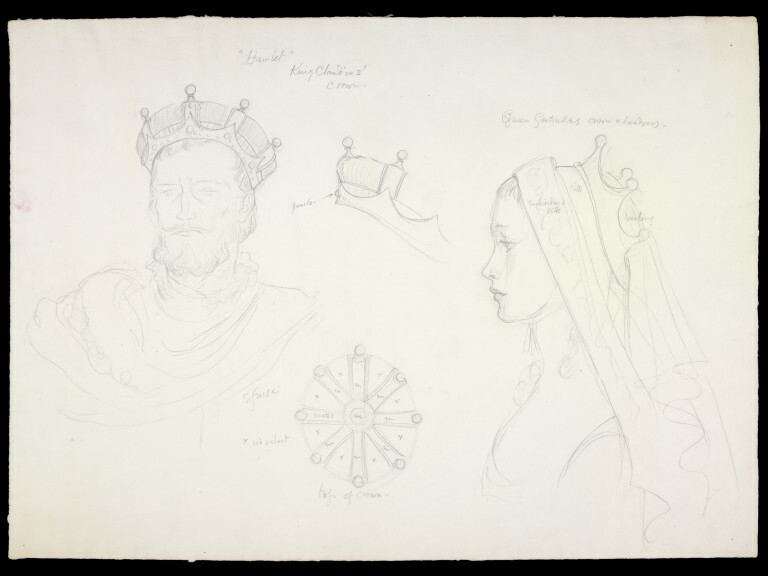 Designs for crowns for Claudius and Gertrude. 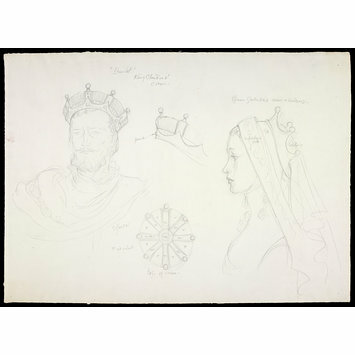 To left, head and shoulders sketch of Claudius, with, to centre, details of his crown seen from the side and above, and, to right, head and shoulders profile drawing of Gertrude showing her crown and headdress. Annotated in pencil and signed.